The 18-hole Challenger at Seven Springs Country Club in New Port Richey, FL is a semi-private golf course that opened in 1970. Challenger at Seven Springs Country Club measures 4310 yards from the longest tees and has a slope rating of 59 and a 61. The 18-hole Championship at Seven Springs Country Club in New Port Richey, FL is a semi-private golf course that opened in 1970. Designed by Ron Garl, Championship at Seven Springs Country Club measures 6396 yards from the longest tees and has a slope rating of 127 and a 71. 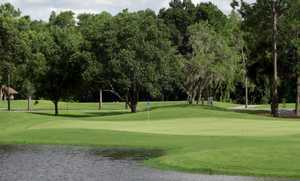 The 18-hole River Ridge Golf Club in New Port Richey, FL is a public golf course that opened in 1985. River Ridge Golf Club measures 4615 yards from the longest tees and has a slope rating of 100 and a 62.5 USGA rating. The course features 3 sets of tees for different skill levels. 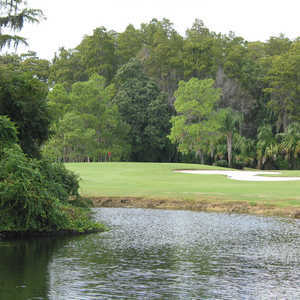 The 9-hole Summertree Golf Course in New Port Richey, FL is a public golf course that opened in 1979. 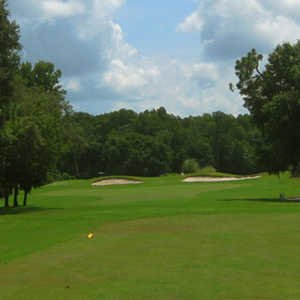 Summertree Golf Course measures 2597 yards from the longest tees and has a slope rating of 113 and a 34.5 USGA rating. The course features 2 sets of tees for different skill levels. The 18-hole Timber Greens Country Club in New Port Richey, FL is a public golf course that opened in 1995. Timber Greens Country Club measures 6133 yards from the longest tees and has a slope rating of 124 and a 69.